Apple’s iWork suite of office style apps – Keynote, Numbers, and Pages – was updated this week with password-protected files capability and a number of useful new features added to each of the apps in the suite. Pages and Numbers add the ability to save password-protected documents via an iCloud link and to export password-protected documents in Microsoft Office compatible formats – DOCX for Pages and XLSX for Numbers. 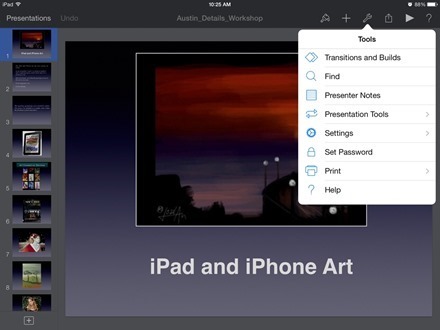 Keynote adds the iCloud link password-protected documents. For many people, any conversation about productivity on the iPad has to touch on Microsoft Office documents and the ability to work with them on Apple’s tablet. There have been persistent rumors that Microsoft will be bringing Office to the iPad, perhaps as soon as this year, but so far nothing official has been announced. Both of these apps have been leaders in this area for many years on just about every major mobile platform. Both offer support for managing and syncing your files via leading cloud services Dropbox, Google Docs, Box.net and more. Documents To Go Premium also has a free desktop companion app for Windows and Mac. Quickoffice Pro also offers support for opening, editing, and saving SharePoint files. Each of these apps has a strong feature set and you’ll want to look at these to see which may be the best match for your needs. 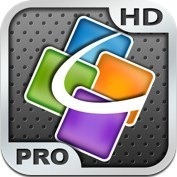 Quickoffice Pro HD is priced at $19.99. 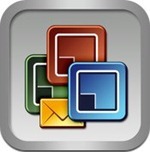 Documents To Go is priced at $16,99 and is a universal app designed for both iPad and iPhone. Quickoffice Pro HD – one of the leading MS Office document viewing and editing suites for the iPad – has had an update this week, to Version 2.2.0. The biggest change is the new name itself. This app was formerly known as Quickoffice Connect Mobile Suite for iPad. I think the new shorter name is much nicer, and it’s got a shiny new icon to go with it too. 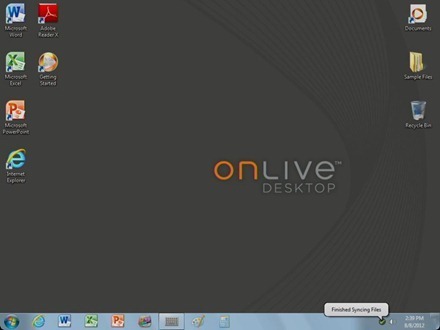 * Product enhancements for improved user experience. Here’s an App Store link for Quickoffice Pro HD; it’s currently priced at $14.99.